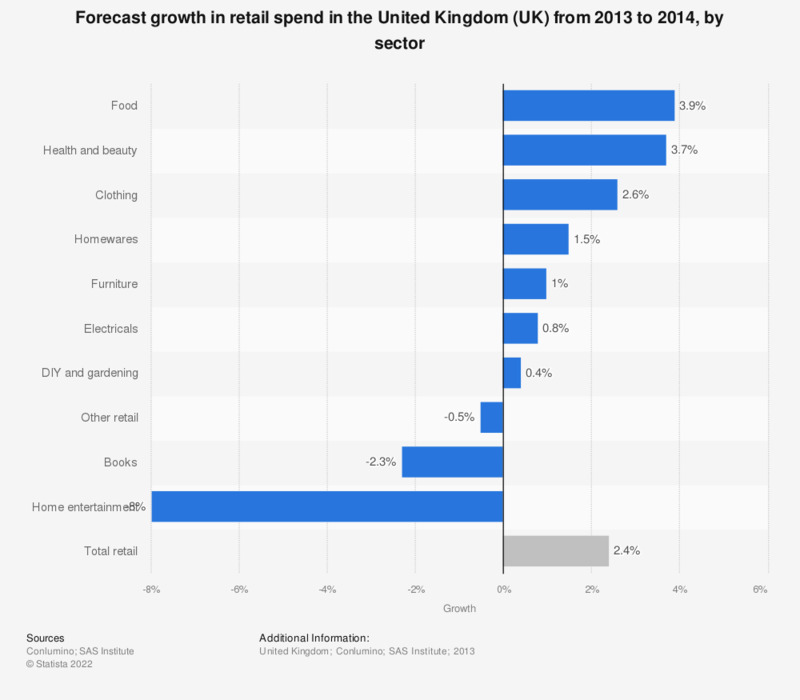 This statistic shows the forecast growth in retail spending in the United Kingdom (UK) in 2014, by retail sector. From 2013 to 2014, total expenditure in the retail sector is expected to grow by 2.4 percent. Food is expected to show the biggest growth at 3.9 percent, while spending on home entertainment is predicted to fall by 8 percent.